The standard pallet (48”d x 40”w) is best handled with a pallet jack that is 27” wide and 48” long (fork length). That allows the load wheels (the small ones) to drop thru a spacing on the bottom of the pallet. 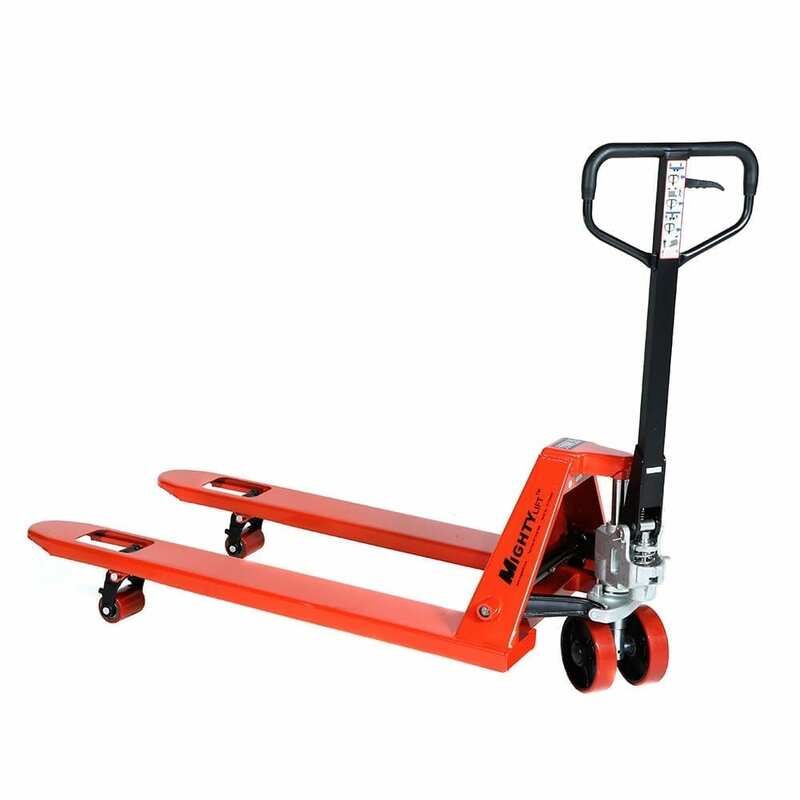 It gives full support to the load on the pallet and its width balances it but remains maneuverable. Loads in most applications are in the 1,500 to 2,500 pound range and so a 5,500# capacity unit will work great and last for a long time. If your load challenges that capacity or if your usage is very harsh the higher capacity unit might be a better fit. A call to our Houston sales office or an email will get you any help you require.